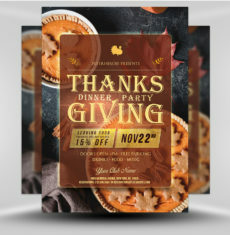 The timeless, traditional look of this festive Thanksgiving flyer template ensures years of productive, successful marketing for your Thanksgiving Day celebration. 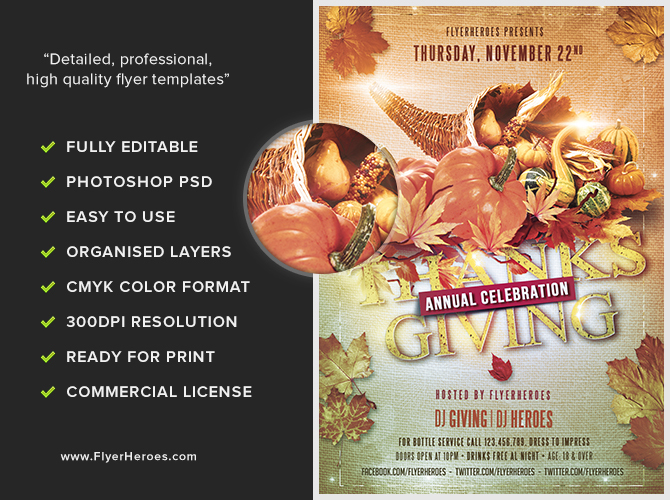 Why fuss with graphics, formatting, and complex computer edits when you can simply purchase this template and start marketing your Thanksgiving Day event in less time than it takes to prepare and cook a Thanksgiving dinner? 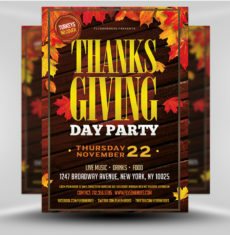 Grab a drumstick and read about the numerous creative ways you can use this flyer to market your Thanksgiving Day event. Once you see the results of your flyer marketing campaigns, you’ll be thankful you purchased this template. 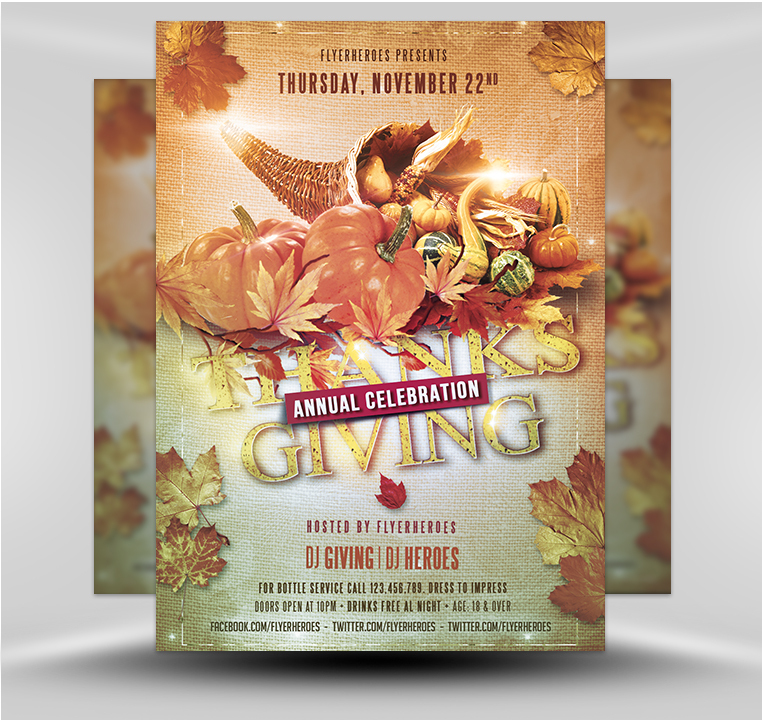 Use the flyer’s digital image to create an attractive Thanksgiving Day promotional postcard. Blow up the flyer to jumbo size and post it on outdoor advertising spaces, such as bus shelters. Pin the flyer on supermarket and library bulletin boards. 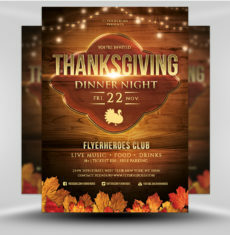 Utilize the flyer’s digital image in Thanksgiving related blog posts, social media posts, and promotional e-mail messages. Hand out mini pumpkins and flyers in front of busy neighborhood stores and restaurants. Place the flyers on cars parked in local residential neighborhoods. Hand out flyers and packets of candy corn in local parks, and in front of busy coffeehouses and diners. Tuck flyers and promotional coupons into festive, orange leaf decorated envelopes. Mail out to everyone on your venue’s mailing list. Drop off stacks of flyers at community centers and local health clubs. 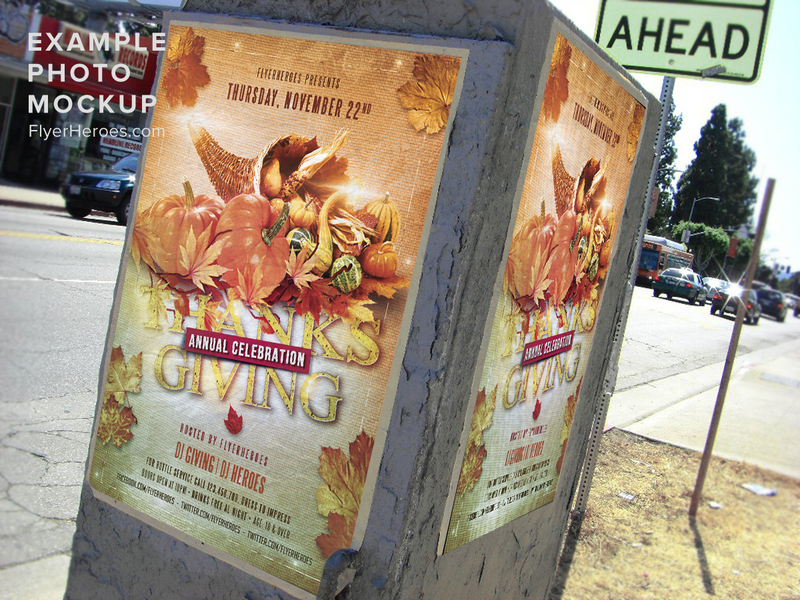 In front of nail and hair salons, hand out “thank you” lollipops and Thanksgiving Day flyers. Email Thanksgiving Day recipes in a special newsletter. Insert the flyer’s digital image on the last page. 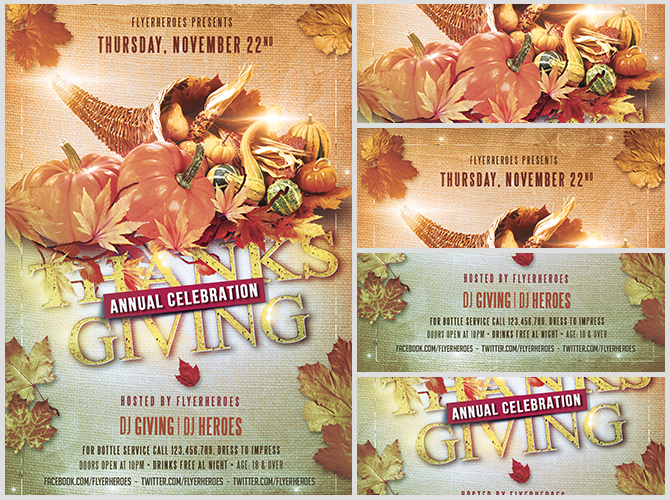 Use the flyer to create a Thanksgiving Day local, targeted Facebook ad.